With the release of the iphone 6s/6s plus, ipad pro, ipad mini 4 and other new portable devices, thousands of music enthusiasts are eager to listen to music on these latest phones and tablets. Definitely, music brings us much joy and helps us wipe out worry when we are upset. It becomes an indispensable part in people's daily life. No matter you are working, partying, excising, travelling or relaxing, listening to some music for adding motivation is a cool idea. In order to make on-the-go listening easy to realize, a functional music app is badly needed. In this digital era, song app never lacks. By estimate there are no fewer than a zillion different apps for listening to music on Google Play, Windows Phone Store, Apple Store, etc. Of course, you can download each of them to stream music on your phone. But you have to choose the most suitable one because your phone has a limited amount of space. 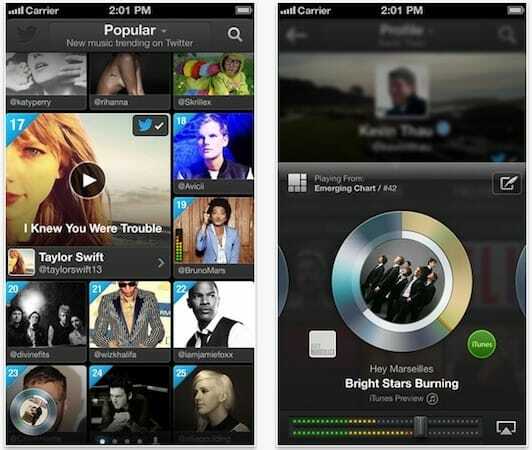 Here, we single out top music apps available for iPhone, Android and Windows phones. You can begin to check out them one by one until find the most proper program. Free Music Player, served as iPhone-based music player, allows users to compose playlist and suggest adding the popular songs to them. It provides the number of versions and users can find the traditional songs and original covers of the song. Similar to the other free music apps for iPhone, its interface is not so intuitive and some advertisements appear too often. You must pay if you want to remove these annoying ads. 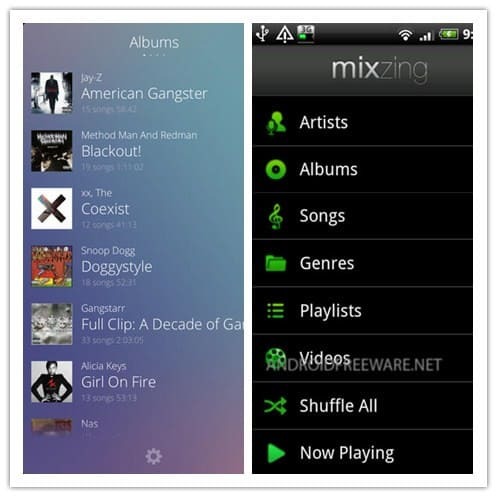 MixZing, created for Android users, is a practical music player app for experienced fans. When a song is playing, users can identify it for making a special ringtone or setting a sleep timer. And it also offers you the chance to search for more songs of the same performer. Furthermore, MixZing is also a radio player with music of different genres. Spotify, supported by iOS, Android and Windows phones, is one of the most famous subscription-based music streaming app that provides you an unlimited solution to stream its audio tracks, artists, genres, albums and playlists. Although it is not free, you also can save much money if you desire to enjoy lots of music on Spotify. Because you needn't pay to download Spotify songs individually. Pandora, known as "free personalized radio that only plays music you'll love," is available for listeners in the American, Australia and New Zealand. It is true that Pandora is one of the first music app adopted by most of people all the time. 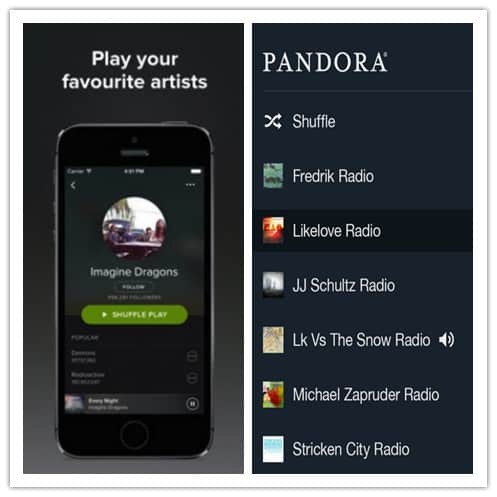 Users can download music from Pandora on iOS, Android and Windows mobile devices or even on computer. By the way, the ad-free Pandora One charges $4.99 per month. 4Shared Music, served as an awesome free songs app for Android, allows people to download and play any music on Android devices for free. More specifically, you can search song's title or artist, play and download lots of music files at 4Shared Music. After download, you can manage playlists with your favorite songs so that you needn't search every time when you want listen to music. It is worth mentioning that this music app provides users 15GB free storage to upload the favorite songs and stream on the move. MacX YouTube Downloader, a famous free YouTube music video downloader, provides free downloading service for someone who has requirements on freely obtaining MP3, AAC, MP4, AVI, WMV, MOV, etc format songs for free enjoyment. Designed for Mac users, this ultimate music download app gives users much freedom to choose music video formats and resolution when downloading songs comparing to the other free music apps. It supports free downloading SD and HD music videos in 8K UHD, 4K ultra, 1080P and 720P from 300+ video sharing sites, including Vimeo, DailyMotion, Vevo, YouTube and many more. Now, follow this YouTube music downloading tutorial to download songs from YouTube. Make sure you have downloaded and installed this free YouTube music app on your Mac before launch. Paste the URL of the YouTube music songs you are going to download on YouTube to load the video information and click "analyze". Alternatively, you can click "paste & analyze" button to automatically detect the wanted YouTube music video opened in browse. You are allowed to freely choose the music video format, resolution and file size. Fortunately, this free YouTube music downloader offers you the ability to automatically add the output MP4 videos to iTunes Library for transferring to iPhone 7/7 Plus, iPad Air 2, iPad Mini 4, iPad Pro, Samsung Galaxy S7 edge and many other Apple devices. Click "Browse" button to select an output folder so as to save the output files. Click "Download Now" button to free download YouTube song's video. Certainly, this free music app also is a music streaming program due to the built-in video plays. That is to say, you can play the desired music songs in the process of downloading. And if you want to stream the downloaded songs on your mobile devices, the advanced version will be very easy to ease: MacX Video Converter Pro. It is capable of converting all kinds of videos to popular video/audio formats and portable devices, such as convert MP4 to MOV, AVI to MP4, MOV to MP3, MKV to iPhone 6, WMV to android, etc. Thus, you can play songs on your phone at anytime and anyplace.